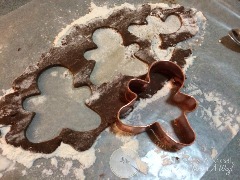 Roll out dough on a floured surface, to very thin (about 1/4-1/8 inch thick) cut out shapes. 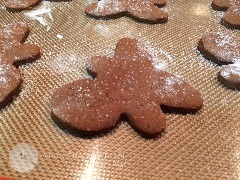 Place on a lined cookie sheet and bake at 350 for 7-10 minutes. Old Salem is a Moravian settlement in Winston-Salem, NC (close to High Point, NC where I grew up). When I was little my mom would take me and my sister to the Winkler Bakery to taste delicious sugar bread and of couse the world famous Moravian Cookies. I remember the sweet smells that would come out of the old brick oven and we would end up eating our sugar bread on the bench right outside of the bakery. 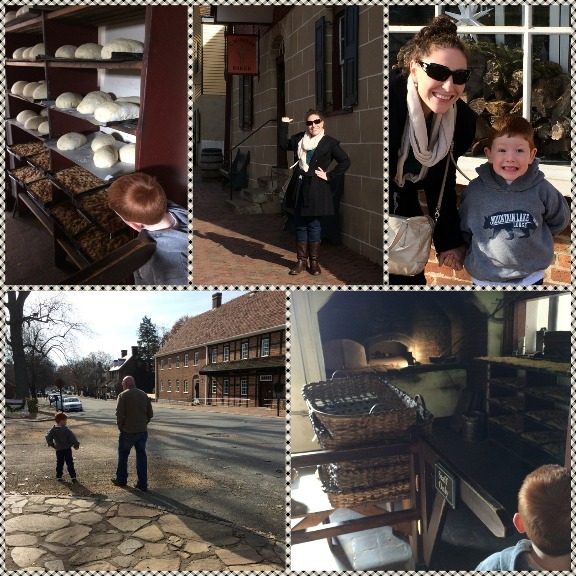 I hadn't visited Old Salem in at least 10 years, and thought it was about time to take Tucker. I'm pleased to say nothing has changed (bahahaha, I crack myself up). Sweet smells still come out of the same oven that they have come out of for the past 200 years, making the same treats. I wanted to take the oppurtunity to check out the bookstore at Old Salem for any old cookbooks. And boy did I hit the jackpot! Preserving the Past Salem's Moravians' Receipts and Rituals is a collection of recipes from 5 Salem families dating back to the mid 1750's. "The main challenge of many of the recipes is the absence of the all-important directions: indeed, our foremothers likely felt that if they wrote down the essential parts, certainly each generation after (as information and methods were passed down) would know the basics of what to do. Fast forward two centuries, and ingredients and usual ways of preparing food are drastically different. Some of their original intentions are not easily known or inferred. The receipts are authentic and unaltered from the state in which they have been preserved....The paramount concern in compiling this collection was its historic authenticity....The recipes were passed down from earlier beginnings and quite assuredly modified at times before (and after) being captured by the pen." My Greatest Throwback Thursday Challange Yet! ​In the Spirit of Christmas, I wanted to try and tackle Salem Christmas Cakes. 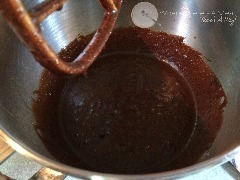 Problem #1: the recipe calls for 1 gallon of molasses. 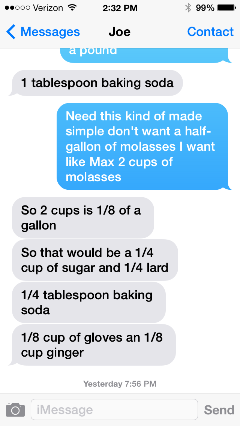 Where would one purchase a gallon jug of molasses, and how much would that be?! 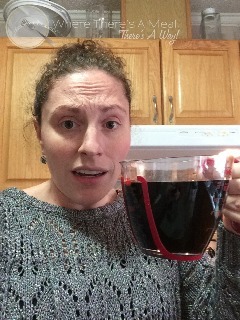 I had to scale this recipe way back, which meant the enlistment of my measurement guru Joe (look past the cup of gloves, even gurus make grammatical mistakes now and then). Problem #2-No flour listed in ingredients. I thought well maybe it will be like a cripsy flat cookie? 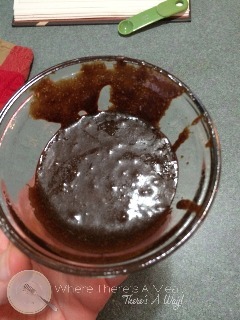 So I made a small bowl exactly like the recipe stated, and it made goo. 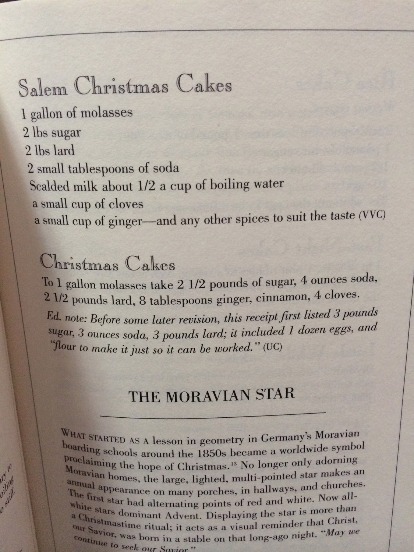 I then knew that the Moravian Mama's of yesteryear clearly just had an understanding that you secretly add flour to all Christmas cakes. How much flour? One hint was given, "flour to make it just so it can be worked". I'm guessing this means make it so the dough won't stick to your hands when you roll it out. 4 cups of flour (one at a time) later, mission accomplished. Then finally problem #3-4, how to make them, and how to cook them. I decided to roll them thin (like the traditional Moravian Cookies) and bake them at 350, because thats the universal temperature. The end result? 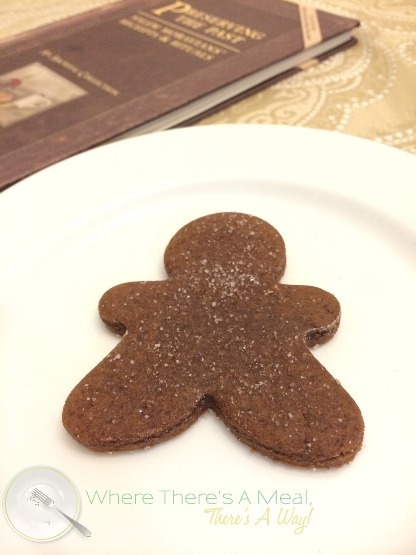 A sturdy, spicy gingerbread tasting cookie. Was it my favorite? No. Was it terrible? No. Just bland and a little hard. But I had some taste testers over that seemed to like them, so hey, can't be that bad! Looking to stretch your culinary muscles? Try looking at historical recipes, and with some creative thinking you'll find that where there's a meal, there's a way! 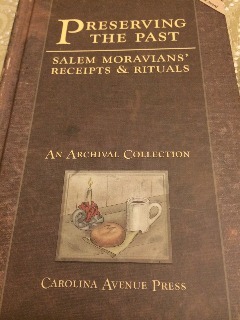 Book cover and recipe image taken from Preserving the Past: Salem Moravians' Receipts & Rituals. Published by Carolina Avenue Press.